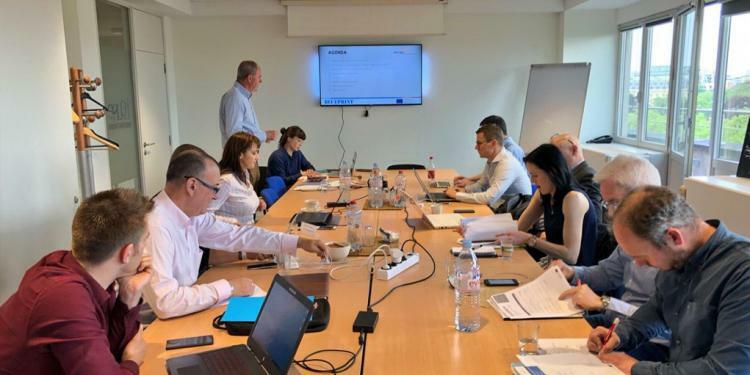 On May 24th, ENSE joined the Expert Group meeting of the Blueprint project led by EuropeActive, which aims at improving the skills and qualifications in the Active Leisure sector – a sector which includes fitness and outdoor activities. The project, fully known as Blueprint for Skills Cooperation and Employment in Active Leisure, focuses on developing new skills for current and future workers, improving employability of young people, and supporting entrepreneurship and growth across the sector. Concretely, that means mapping out the current qualifications in the Active Leisure sector and identifying the skill gaps in the existing market. Then, using that information, developing improved, increasingly relevant qualifications that are recognized on a European-wide basis. As part of the recent meeting, experts from all project partners came together to concretely map out the work ahead and to form the basis for the various activities in the project. Some of these activities include the planning of a research on current active leisure qualifications, skills foresight, the setting-up of an awarding organisation and a procedure for recognition of individual achievement through a professional card system among others. The results of the individual and group work will be shared and discussed during the next full partner meeting in September at the German Sports University, which will be hosted by ENSE. In total, the 3-year project features 5 other partners from across the continent, including the International Council for Coaching Excellence (ICCE) – also an ENSE network member – the European Confederation of Outdoor Employers (EC-OE), the Fundacion Espana Activa, Sport Ireland, and the Gdansk University of Physical Education and Sport. This entry was posted in News and tagged Blueprint, ENSE, project. Bookmark the permalink.